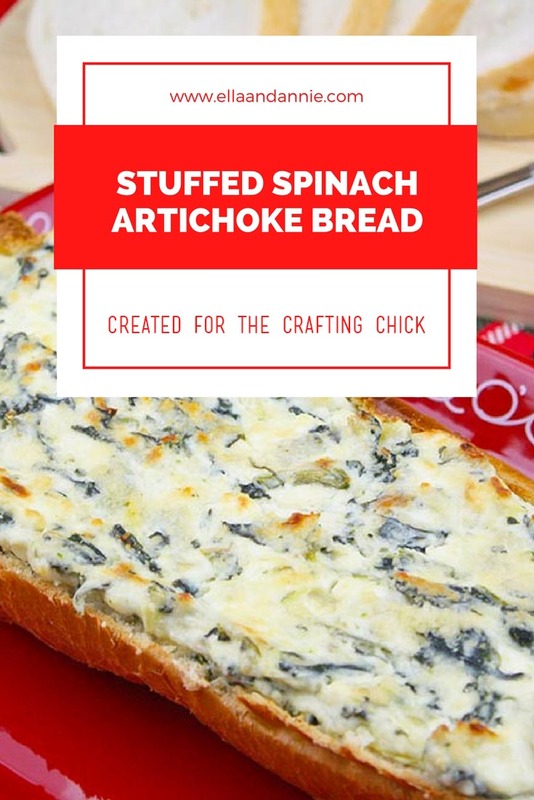 This delicious and creamy spinach artichoke dip stuffed bread will soon become a family favorite. Glad to be back and share this yummy appetizer with you from Ella and Annie. One ingredient I wish I had added that you still can is water chestnuts! I just love the crunchy texture they give to the dip. I have to confess that I could pretty much eat the entire loaf for dinner, just sayin’. 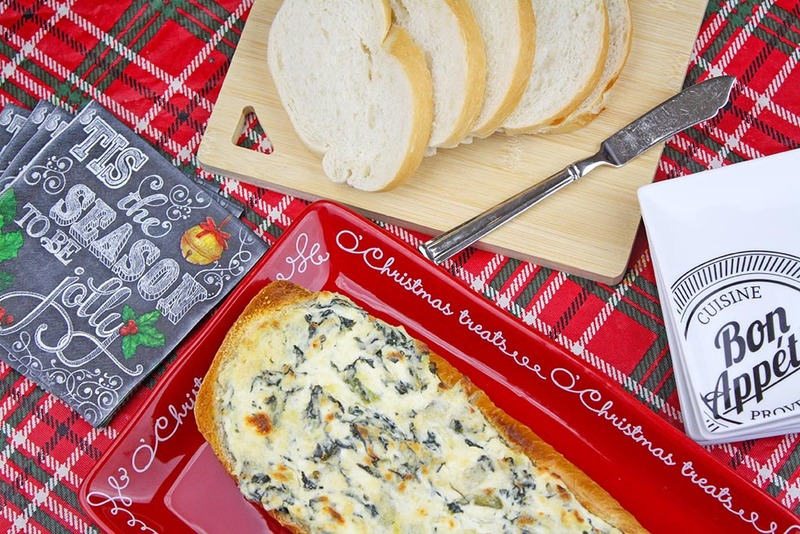 If you decide to make the dip and do not want to stuff the bread, serve it in a mini crockpot to keep it warm. Preheat the oven to 350 degrees. Thaw the frozen spinach and place in a strainer. Squeeze the excess water out of the frozen spinach. Set aside. 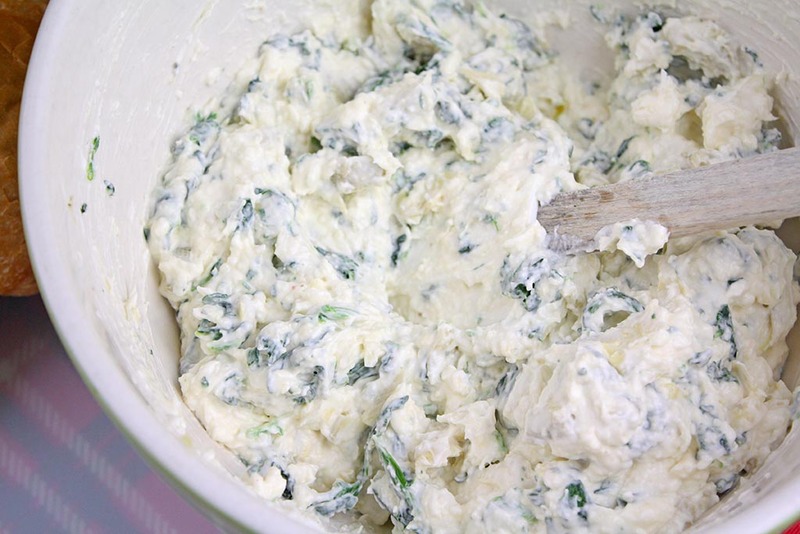 Combine the cream cheese, mayo and sour cream in a medium bowl. Using a handheld mixer, mix the ingredients until smooth and creamy. Add in the garlic powder and parmesan cheese. Mix until combined. 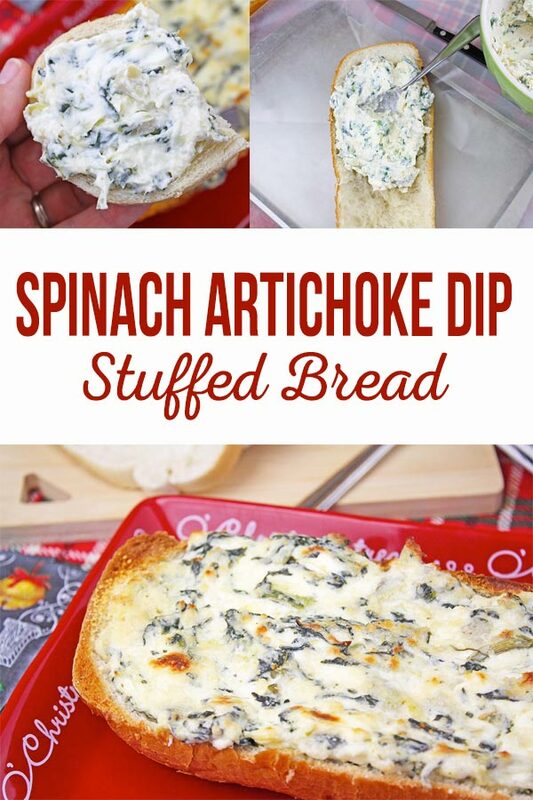 Fold in the chopped artichoke and spinach. Cut the loaf of french bread in half, lengthwise. Scoop out the center of the bread making sure to leave the crust intact. 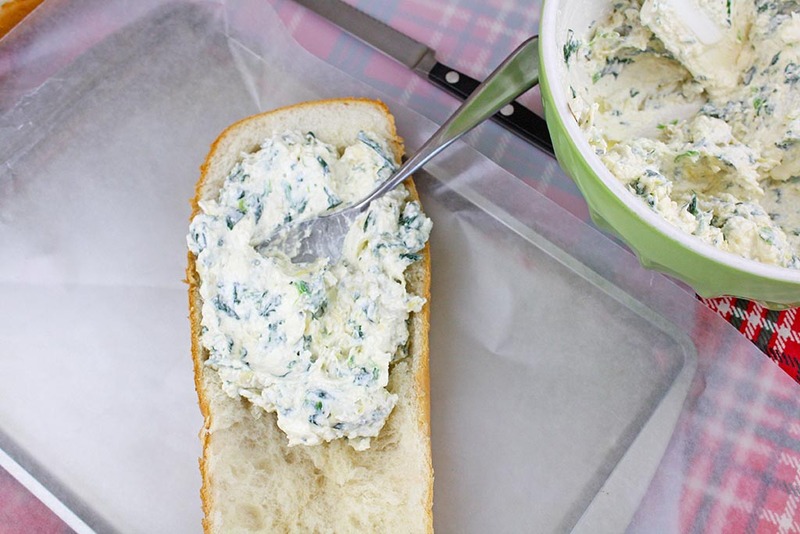 Fill the hollowed out french bread with the spinach artichoke dip. Sprinkle the tops of the loaves with an additional 1/2 cup parmesan cheese. Bake at 350 degrees for 25 minutes. 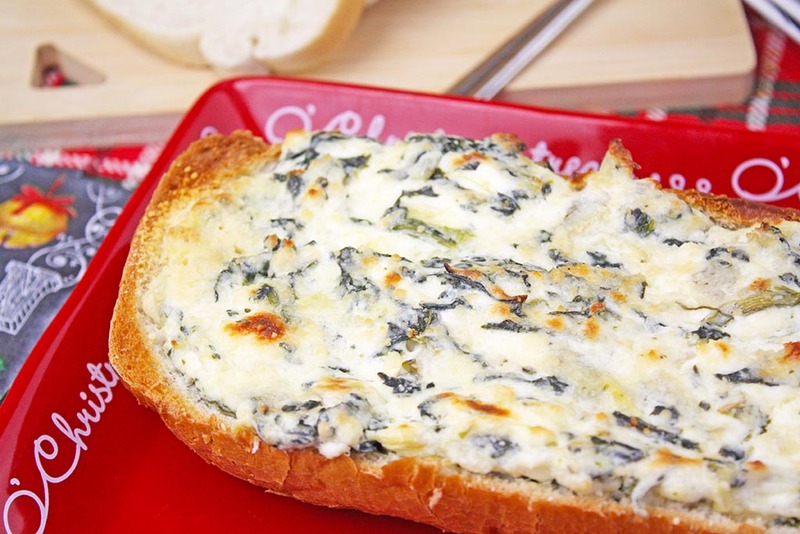 Turn the broiler on low for an additional 3-4 minutes until the cheese is slightly brown and bubbly. 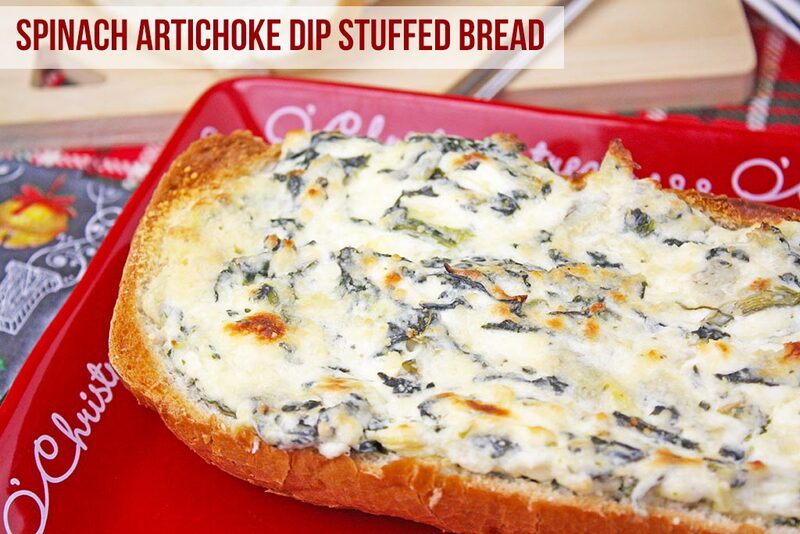 Serve immediately when the bread and dip are hot from the oven. Try slicing the bread into smaller pieces to make it easy for guests to grab or use the bread as a bowl to dip your favorite crackers or baguette slices into.